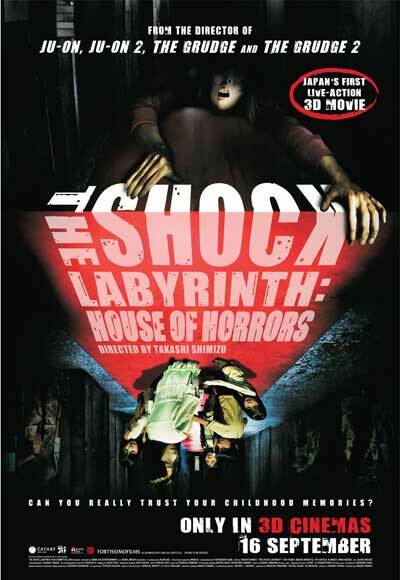 This was actually released in 2009 as the first-ever Japanese 3D horror film. The story revolves around a group of friends that stumble back into an amusement park’s horror house where a dark incident took place in their childhood. Verdict: Perhaps the worst of its kind that I have ever seen in my entire life. It’s merely unbelievable that this was actually directed by the man who did ‘Ju On’. There isn’t a single decent scare. Even the girls in the cinema were laughing and yawning. The 3-D effects have nothing much to show besides how much it could hurt my eyes. Furthermore, the plot does not make sense at all and the double twist at the end adds to the confusion. The only things that impressed me were the annoyingly-panned music track and the kawaii-ness of the actresses. hahaha thanks for the review! almost wanted to go for the movie already.. now i know not to waste my money on the movie! thanks!